Agartala, June 24 : Tripura’s Left Front government is facing an unprecedented shortage of teachers to run its 5,000 schools from the next academic year beginning in January. The Supreme Court order of March 29 upholding a state High Court order terminating the jobs of 10,323 government teachers has added to the vacuum. The state also faces a dearth of eligible candidates to fill up 15,436 teachers’ posts. The Tripura government has appealed to the Centre for relaxation in the norms for recruiting teachers in order to fill up the posts — an issue that is turning into a political hot potato ahead of the Assembly elections early next year. “We had sought one time relaxation in qualifying marks and exemption of professional qualification with the MHRD (Ministry of Human Resource Development) for recruiting teachers, but the ministry rejected our request,” Tripura Education Minister Tapan Chakraborty said. Chakraborty said he met Union HRD Minister Prakash Javadekar last month and also wrote several letters to him on the issue. “Our senior officials met the ministry officials in Delhi many times on the issue, but the central government disallowed our appeal. This has deprived thousands of unemployed youths in the state an opportunity (to take up teachers’ posts),” he added. The Minister said that the Union HRD Ministry in April relaxed the minimum qualification norms for teachers notified by the National Council for Teacher Education (NCTE) for Assam and West Bengal states. He wants that Tripura should be extended the same relaxation. Under the Right to Education (RTE) Act, before recruitment of teachers in government schools, Teachers Eligibility Test (TET) is mandatory. To appear for the TET, the candidate has to have 50 per cent marks in certain subjects and a Bachelor degree or Diploma in Elementary Education or Diploma in Education. 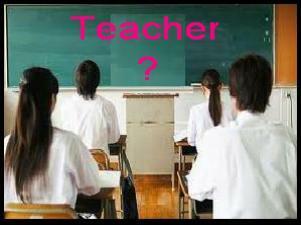 The Education Minister said that Tripura requires 52,315 teachers to run 5,000 government schools. The state currently has around 47,000 teachers — of whom 10,323 face the axe due to the Supreme Court order. “Like other states in India, the pass percentage of candidates in TET is very minimal in Tripura too. This makes the situation worse,” Chakraborty added. The apex court on March 29 upheld the Tripura High Court order to terminate the jobs of 10,323 teachers, but allowed them to continue in service till December 31. The court asked the government to frame a new Employment Policy, to initiate a fresh recruitment process and complete it by December 31. The Tripura High Court’s division bench headed by then Chief Justice Deepak Kumar Gupta (now elevated to the Supreme Court) on May 7, 2014, terminated the jobs of the teachers citing “incorrect selection procedure”. However, on May 17, the state government announced the creation of 13,000 non-teaching posts in two departments — ostensibly to “accommodate” the teachers facing ouster. Ahead of next year’s assembly elections in February, the opposition and ruling Left parties are hurling accusations at each other over the issue. Communist Party of India-Marxist (CPI-M) state secretary Bijan Dhar said the Bharatiya Janata Party (BJP)-led central government and the party leadership have been playing a “double role” on the crucial education issue. “The BJP government at the Centre gave a relaxation in teachers’ recruitment norms to Assam and West Bengal, but rejected Tripura’s proposal. The BJP leadership also asked the union HRD Minister not to give any relaxation to Tripura – thus depriving the state’s youths,” Dhar said. The Congress has also criticised the central government’s role in education.